The following advises readers what a discounted gift trust is and provides an example that illustrates how it is used for tax planning – of particular interest to those studying for any of the CII R03, R06, J02, AF1, AF4 or AF5 exams. What is a discounted gift trust (DGT)? 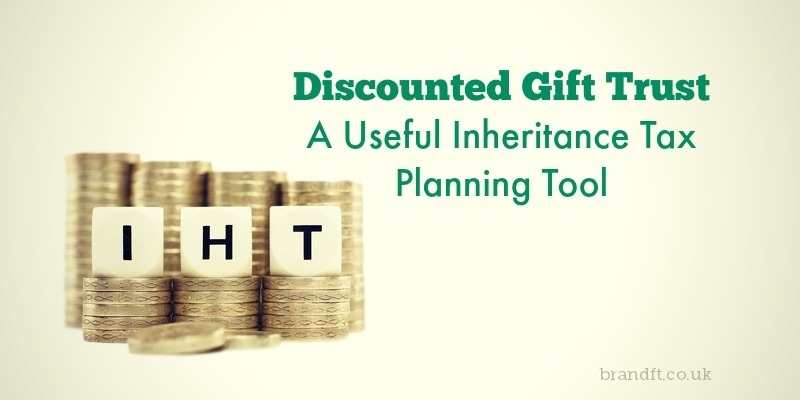 A discounted gift trust (DGT) is a useful inheritance tax (IHT) planning tool for those people who have an IHT problem but still want an income from gifted assets. A DGT is made up of an investment bond held in a trust which can be either a discretionary trust (where the trustees have flexibility over the choice of beneficiary) or a bare trust (where they don’t). The bond is held in the trust by trustees for the ultimate benefit of the beneficiaries, but in the meantime, the settlor has the right to receive an ‘income’ for life. He or she will not however have any right to the capital. If someone wants the security of knowing they could access the capital, this product is not the right one and perhaps should consider a Loan Trust arrangement instead. Why transfer into a DGT? Because the settlor retains a right to an income (and IHT is based on the loss to someone’s estate), they are not treated as having made a gift of the whole investment – instead the theoretical value of the future right to income can be deducted (and this is the discount). If death occurs within 7 years, it is the discounted gift that comes back into the estate. There is, therefore, an immediate IHT reduction when a DGT is created. The younger the client, the greater the reduction. On joint life plans, each individual is treated separately, and the total joint discount is apportioned between them according to each person’s age and state of health. 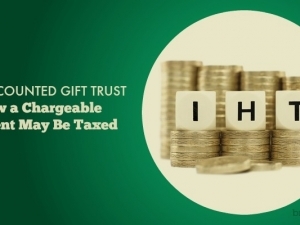 Discounted gift trusts are a useful #tax planning tool for those with an #IHT problem. Most plans require underwriting at outset; this lessens the chance of HMRC disputing the amount of the discount should death occur in those 7 years. Once 7 years have elapsed, then the gift is outside of the estate. If the trust chosen is a bare trust, then the gift into it is a potentially exempt transfer. If a discretionary trust is used, then it will be treated as a chargeable lifetime transfer but as long as the transfer is below the nil rate band, then the 20% upfront tax will not apply (assuming no previous gifts were made either). Let’s look an an example of Michael who gifts £100,000 into a DGT and from this receives £5,000 per year as an ‘income’ for life. Based on his health, the value of his right to these £5,000 per year payments is £40,000. The amount of the discounted gift is therefore £60,000. If Michael dies within 7 years, the £60,000 is back in his estate for inheritance tax purposes, not the £100,000. If he lives for more than 7 years, the gift does not come back into his estate at all. Meanwhile the bond grows in the trust also outside of Michael’s estate for inheritance tax (although if a discretionary trust is used, there could be periodic charges and exit charges). 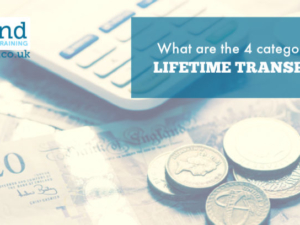 Upon Michael’s death, the fixed income stops, but the investment bond can continue if there was a second life insured, and it can carry on being used as a tax efficient trust investment. 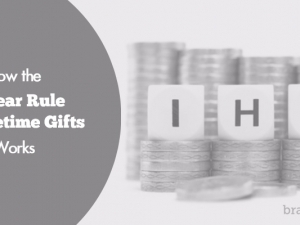 To summarise, a DGT is suitable for those people in reasonably good health (to secure a good discount) who want to make a gift to reduce IHT (with an immediate effect) but who also need an income from the gifted capital. If you’re studying for your CII R03 exam, and you’re wanting to feel confident on exam day, grab our free taster to try out one of Brand Financial Training’s resources for yourself. Click the link to download the R03 mock exam taster now! Alternatively, you can try the taster for any of R06, J02, AF1, AF4 or AF5 if you’re studying for one of those exams.